Colored jeans are getting all the press, as the biggest trend you can get your mannied paws around this season. There is another huge trend quietly demanding the hearts and wallets of the fashion obsessed and ordinary mortals alike. I call it The Feminine Five, five big trends in women’s (and girls) styling that can inspire romance novels and separate the girls from the boys. These ladylike details, fabrics and techniques are infinitely flattering and straddle the boundary of classic and fashion. They fit into most women’s lifestyles, contemporary and classic and work on all ages. Consequently, they are ringing registers around the world. The trend looks especially modern when paired with casual pieces like jeans, shorts and washed jackets. These trends take on a dressier attitude when worn with refined pieces like tailored jackets, pleated and pencil skirts. 5 top fabric and styling trends! Lace fabric is everywhere from netting to heavy over-embroidered cottons. Lace fabrics are found on tops, skirts, shorts, dresses, shoes and bags. Ruffle mania has continued to dominate on tops, skirts and dresses; from bold irregular ruffles at Crewcuts to tiny reflective ruffles on Lululemon sleeves. Eyelet fabrics are having a renaissance on breezy tops, shorts, dresses and flouncy skirts. They lean folkloric or juvenile worn head-to-toe or in color. Crochet details are showing up on shoes, bags and trims, as well as lacy crochet sweaters. Pleats and peplum details are found on skirts, tops and casual and tailored jackets. 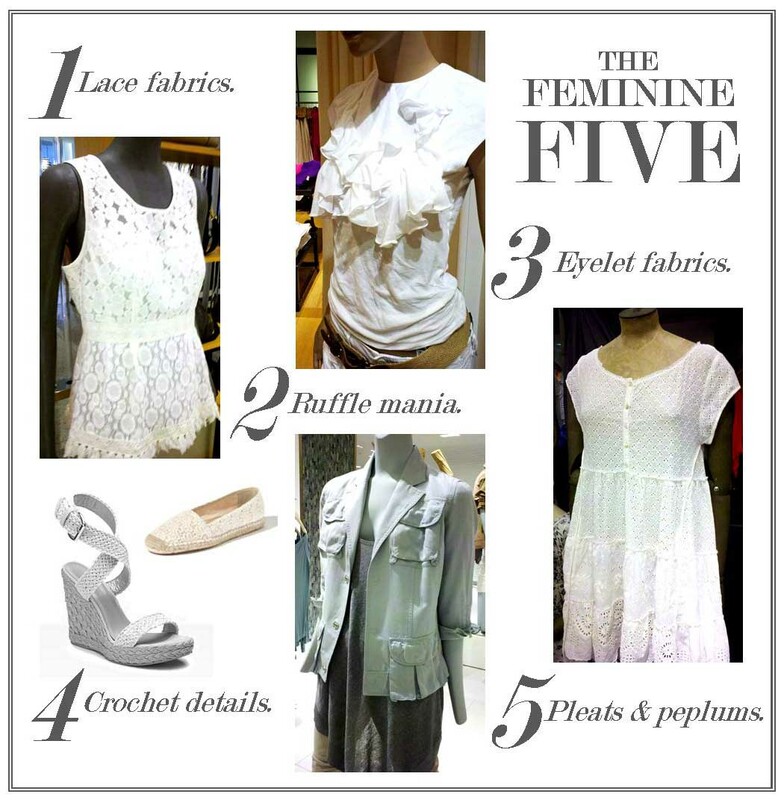 The Feminine Five are found in many of the hottest wholesale and retail brands – Free People, Zara, Club Monaco, Robert Rodriguez, Milly, Alice & Olivia, Joie, Rachel Zoe, Diane Von Furstenburg, Kate Spade, Ralph Lauren, Ted Baker, Christian Louboutin and many more. I expect these highly salable styling trends to continue in seasons to come. Dix& Pond is the blog of Dix& Pond Consulting. English fashion often has a quirky sensibility to it. It can range from dowdy, dipped-in-color royal style to avant-garde street wear. Proper classics touched with a whimsical twist are also a hallmark of British design. The fascinator hats, worn by UK women at festive, formal occasions are a perfect example. A unique Ted Baker dress. There are many UK fashion and beauty brands invading American shores. Burberry is the international superstar, but gaining terra firma are Hunter (the famous Wellington boots, shoes and bags), All Saints Spitalfields (progressive street fashion), Thomas Pink (shirt maker for men and women), Barbour (classic outerwear), Butter London nail color (trend setting color), Illamasqua cosmetics (“makeup for your alter ego”), and many more. Some of these companies have decades of brand history and others are relative newbies. 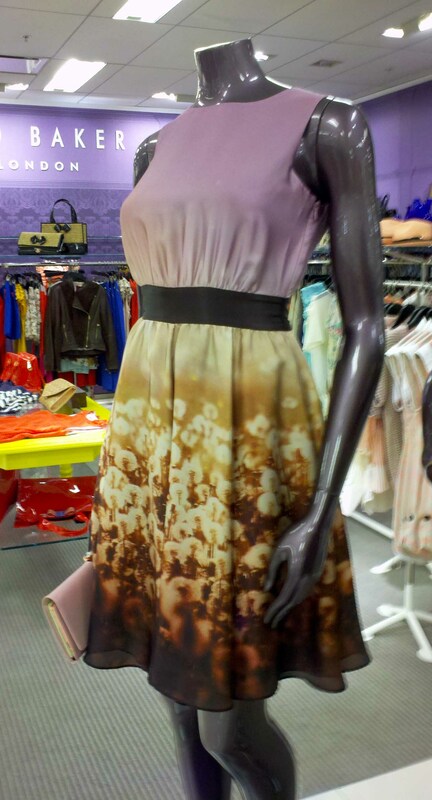 One of my favorites is the irreverent, colorful, ladylike Ted Baker. The London-based Ted Baker , was started by the designer in 1987, as a men’s shirt company and now makes menswear, womenswear, accessories, fragrance, skincare, footwear, eyewear and watches. They are especially known for their feminine colorful sportswear, accessories and whimsical handbags. The unique personality of the brand stands out in a vanilla retail landscape. I’m especially enamored with his patent leather bags, clutches and printed vinyl totes. Ted Baker has their own international retail stores and is found at better retailers like Bloomingdale’s and Nordstrom. Preferring not to advertise, they have grown mostly by word of mouth. Now you are in on secret! 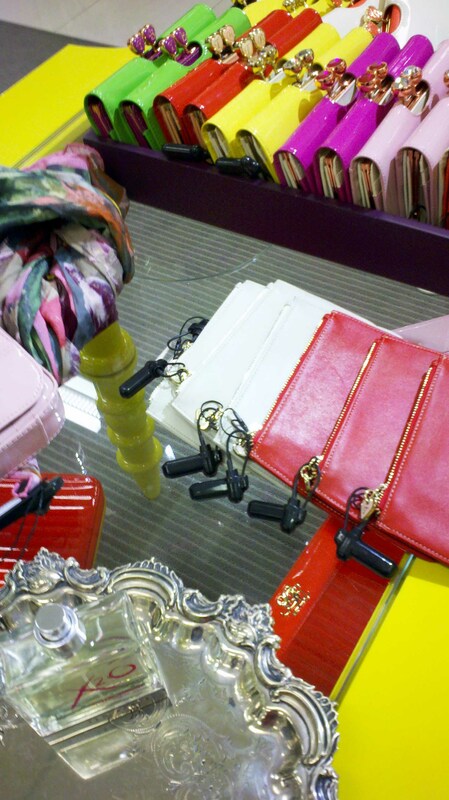 Ted Baker colorful and retro accessories.